Judgment is a focal point for many interpreters of Matthew. To some people, God is seen as a server and helper to those in need, but to others He is seen as judging and accessible only to the elite. The burden of impending judgment can be a heavy load to carry, but does it need to be? 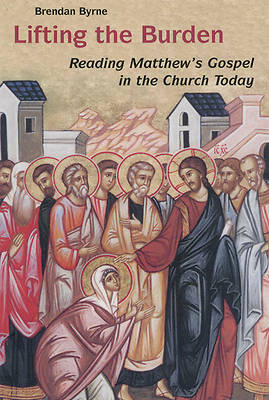 Selecting passages from Matthew, Brendan Byrne demonstrates an awareness of Jesus as one who lightens humanity's burdens rather than adding to them. Lifting the Burden contains methods of interpretation that are sensitive to the concerns of Christianity and Judaism as it focuses on the elements of the Gospel that balance the importance of judgment and view judgment within a larger context. Brendan Byrne, SJ, DPhil, is a professor of New Testament at Jesuit Theological College, within the United Faculty of Theology, Parkville, Melbourne, Australia. He is the author of Romans from the Sacra Pagina series, and Pal and the Christian Woman and is a contributor to the New Jerome Bible Handbook, published by Liturgical Press.